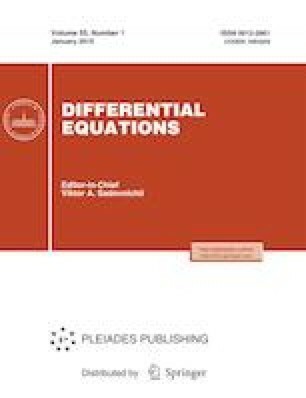 We consider the Cauchy problem in three-dimensional space for a first-order almost linear differential equation with discontinuous coefficients of the derivatives. Two special cases related to the behavior of characteristics are singled out and studied. Russian Text © D.S. Anikonov, D.S. Konovalova, 2019, published in Differentsial’nye Uravneniya, 2019, Vol. 55, No. 1, pp. 134–137.